"Fabulous" a title of our next VA release is completely reflecting to its content. Three different tracks created by: LetKolben, Ratigar and Pablo Marco, have a great combination of crazy and fabulous sounds, full of massive energy, which will make all bodies move.LetKolben is opening this release with his funny track "Good Morning, Mr. Zhak". He has been releasing records more that eight years, but in 2014, he has shifted into a higher gear of creative output and this track as a proof of this. Kolben focuses on synth leads that gather and recede, before the whole things become into one wall of sound. On top of its solid rhythmic base, the tune builds an intoxicating momentum with a filtered sample of cascading chords, a saw-like bassline and a string of open hi-hats. It's all big in both mood and scope of sound. In this track, you will hear that LetKolben one of the hardest working names in dance music. "Let it Go" is a debut of first solo work by Ratigar, a new talented name of electronic music. He made a very powerful stuff. Thick rhythm and bass patterns are joined by atmospheric and symphonic strings, before dense droning chords, wordless vocals and layer upon layer of intricate hand percussion form a dance floor meditation. Every sound feels huge and lingers in a pool of reverb, though Ratigar handles them with tenderness. He trades in a brand of grandiose electronic music as revered experimental outpost and this is right from the beginning gives to Ratigar a good level.Pablo Marco's track "Djambo" has a good shuffling percussion, moody chords, soul-burnt melodies and mystical voices. There's always a drop lurking around the next corner, though, or a gorgeous melody waiting to bloom. The wide-eyed house music he has made starts at those endpoints, floating in the stratosphere without a worry of subtlety or comedown crashes. We guess Pablo wants to convey a sense of hope and acceptance as much as lift your spirits.Dance music has the tendency to reach for something. Whether it be a higher state of ecstasy, fathoms deep introspection, unknown realities. All tracks can leave a lasting impression on clubbers, with the potential, if used wisely, to be defining tracks of the night. 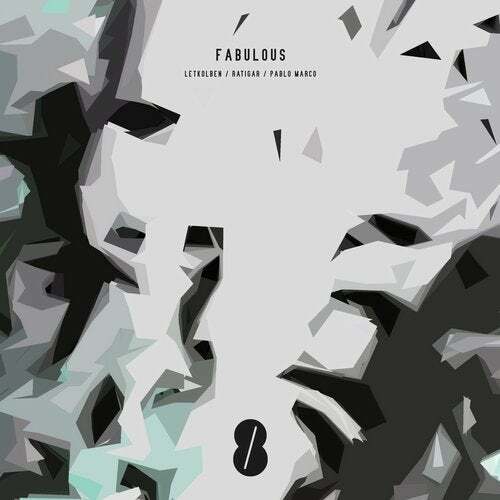 This makes "Fabulous" a must-buy for Techno and House DJs.